To get to Mar Behnam’s Monastery, you have to leave Mossul and drive 35 kilometres to the south-east, in Nineveh Plains. At the end of a road riddled with checkpoints, you will reach Khider, a village of 4000 souls, its hills, its mosque, its chicken farms. Mar Behnam’s sanctuary is here, behind a metal gate adorned by two large golden crosses. At your left, when entering the shrine, the dome of a mausoleum. In front of you, the sand-coloured bricks of a monastery. You are in one of Iraq’ spiritual capital. 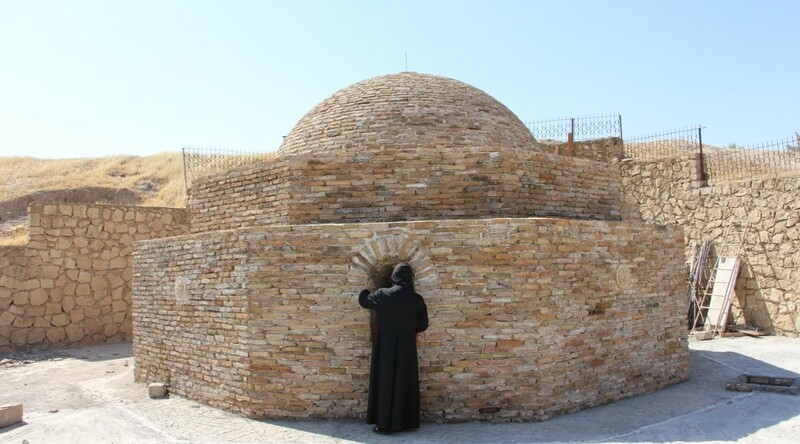 Who were Saint Behnam and Sarah to whom the mausoleum is dedicated? Two of Iraq’s most venerated Saints. 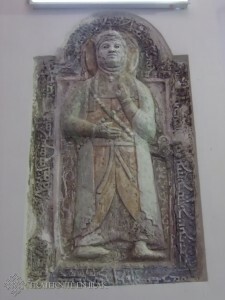 Tradition tells us that in the 4th century, Behnam, son of Assyrian king Sennacherib II converted to Christianity with his sister Sarah after a miraculous healing. 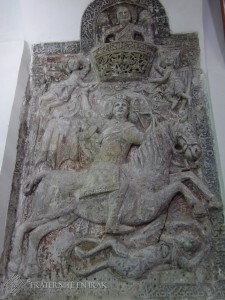 Enraged, the King had both of his children killed… before getting himself baptised. As a sign of repentance, he had this monument built for his children, in the place where they have been killed. 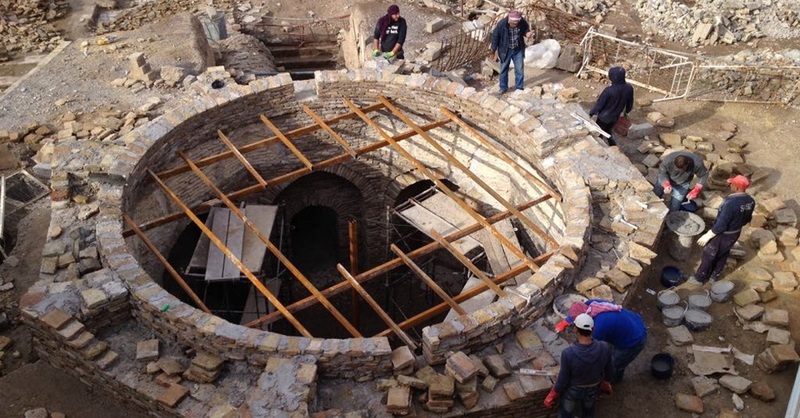 Read: Restoration work has begun at the Mar Behnam monastery ! This was the start of the region conversion to Christianity. Even if the current mausoleum and monastery buildings are renovated works from the 12th century, everything in Mar Behnam – from the trees and the stones to the sky – tells this story of faith and martyr. But this place is not like any other Christian holy sites. 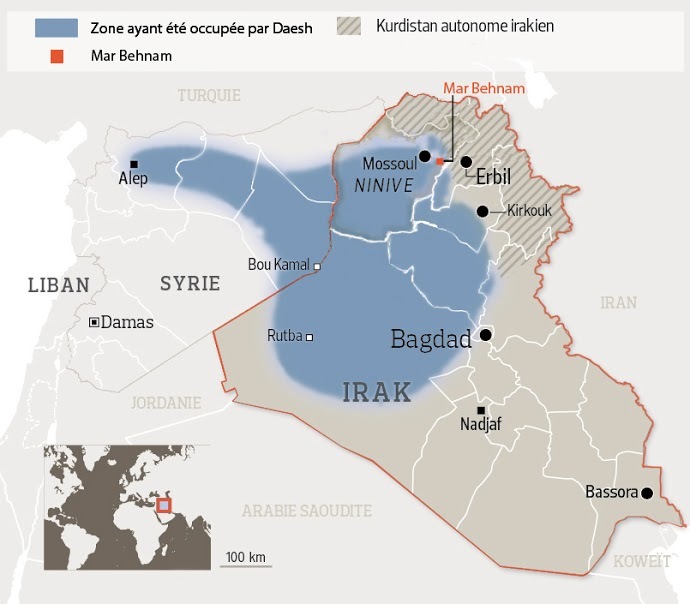 Indeed, Christians, who come here to pray and beg the intercession of the two Saints, share Mar Behnam with Muslims and Yezidis people – one of Iraq’s religious minority. They come here in pilgrimage following Al Khidr, the prophet who gave his name to the village. Or rather came here. Before ISIS. The sanctuary is indeed back from the brink. 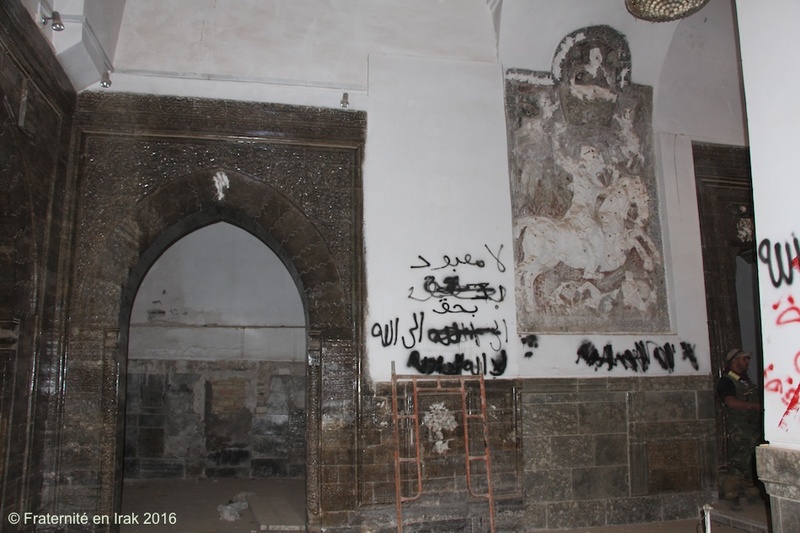 It was on the verge of disappearing after ISIS occupied the buildings in July 2014. 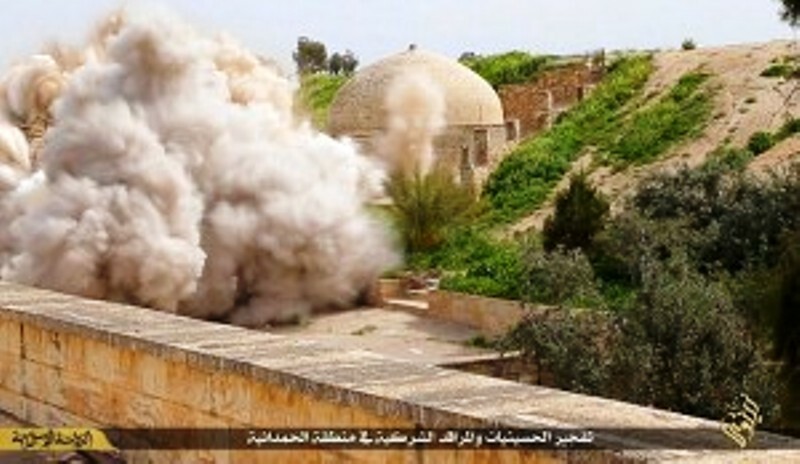 9 months later, on the 19th of March 2015, jihadists used 19 explosive charges to blow up the mausoleum and the dome. The adjacent monastery did not escape the fierceness. All the crosses were removed, the statues smashed, the sculptures and writing systematically chiselled. Still today, anyone entering the church cannot avoid noticing the scars of jihadists’ fury. Bishop Petros Mouche – Syriaq Catholic Archbishop of Mossul and Qaraqosh - discovered the extent of the damage in November 2016, when ISIS was driven out of the region. He was, from then on, determined to erase the harms done to the sanctuary: “our priority is, of course, to rebuild the destroyed houses, and not the churches! There is, however, an exception, it is Mar Behnam which is our most cherished place of pilgrimage.” He then assigned French NGO Fraternity in Irak to restore the place. A French architect, member of the association, is currently undertaking this mission, helped by an Iraqi archaeologist. Between July 2017 and May 2018, access tunnels to the site were rebuilt, the mausoleum and the dome restored. The building receiving the pilgrims was straightened up. The spirit behind those renovation works is clear: the authenticity of the sanctuary has to be respected. Every task was carried out following the original techniques (ancient bricks and whitewash) and the Sunni villagers were included in the renovation, especially for the clearing process/efforts. 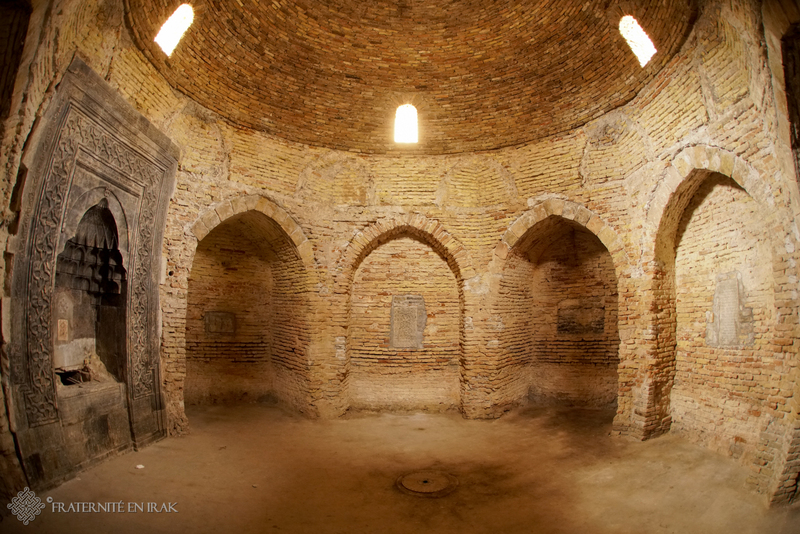 Restoring Mar Behnam is also working to to restore a form of religious fraternity. Relations between Muslims and Christians had sometimes been troubled before, but the rise of ISIS in the region worsened the situation, thoroughly shattering those links. Suspicion, distrust and anxiety are like walls erected by ISIS between the two communities. Nevertheless, Iraq has no future without reconciliation. By becoming a multidenominational place again, Mar Behnam can, to some extent, contribute to this brighter future. Before ISIS, 500 to 1000 people visited the holy place every week-end. A few weeks ago, a group of Chaldean Christians from Kirkuk passed through the sanctuary’s gates. Muslims and Christians believers progressively come back. Step by step, Mar Benham come back to life… Ancient stones do not only talk about our history, they have a role to play in building a better future for humanity.